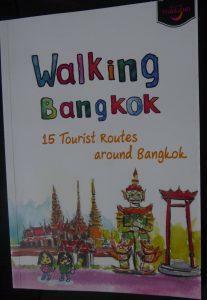 The Tourist Authority of Thailand has issued a Bangkok Walking Guide booklet containing 15 Bangkok Walking Tours with maps. 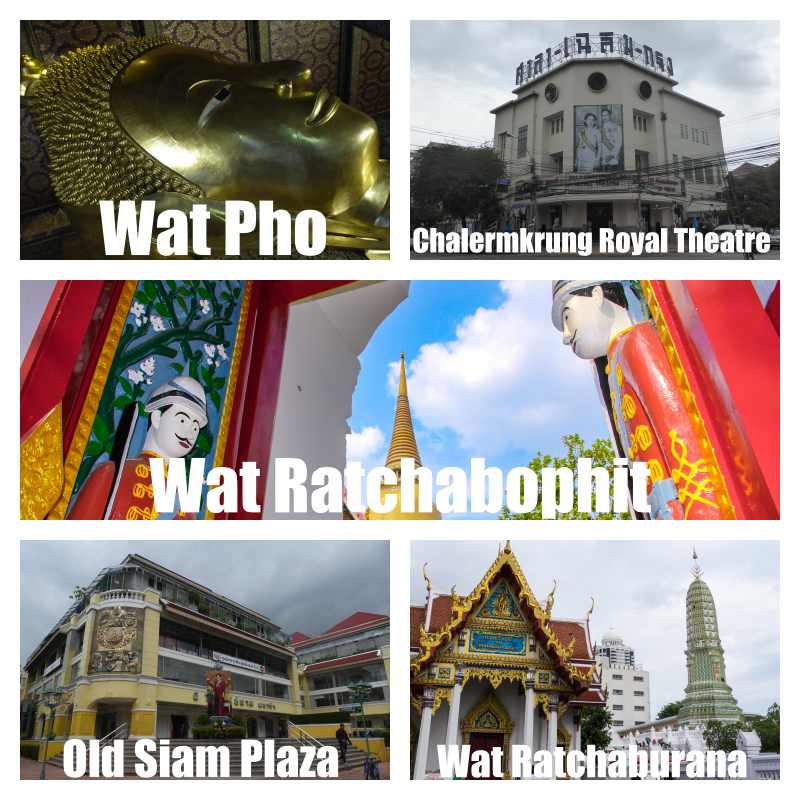 These can be obtained from TAT offices on New Phetchaburi Road, Ratchadamnoen Road and at Suvarnabhumi Airport. 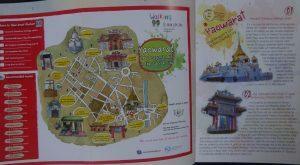 Alternatively, click on the links below to view the maps and our guides to the walks complete with directions and photos. 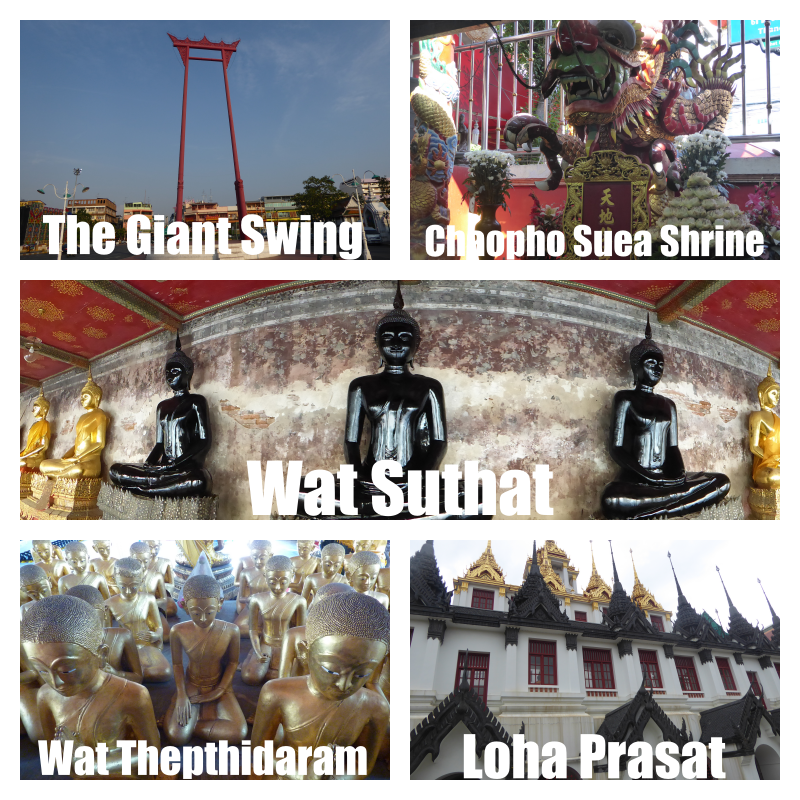 Bangkok isn’t the best city for walking any long distances due to the heat and humidity, especially in the hot season. Heat exhaustion can be a problem and creeps up on you. 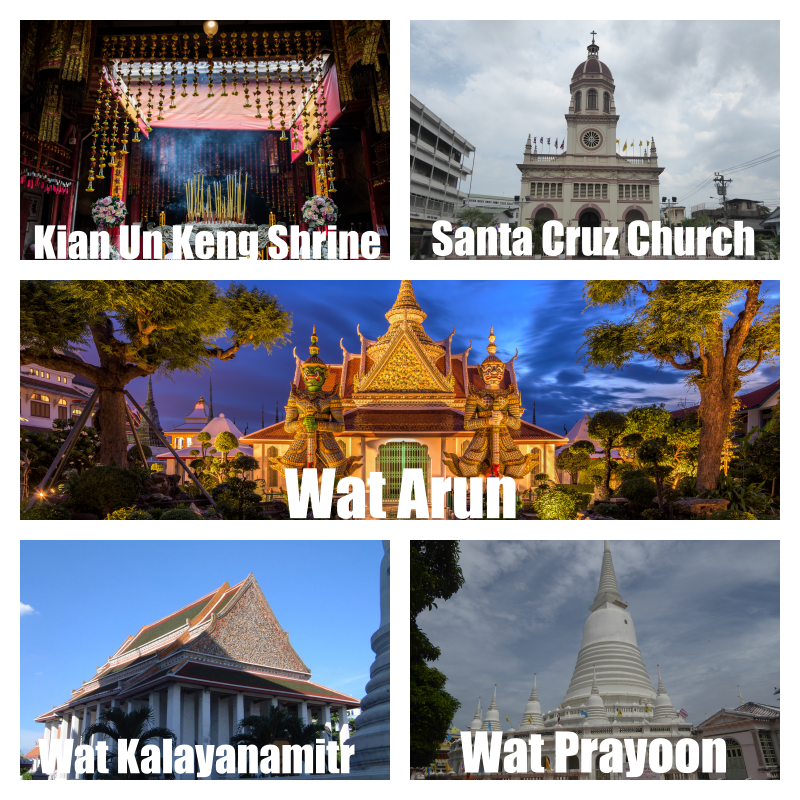 In the rainy season, you may encounter heavy storms, lightning, and localized flooding. 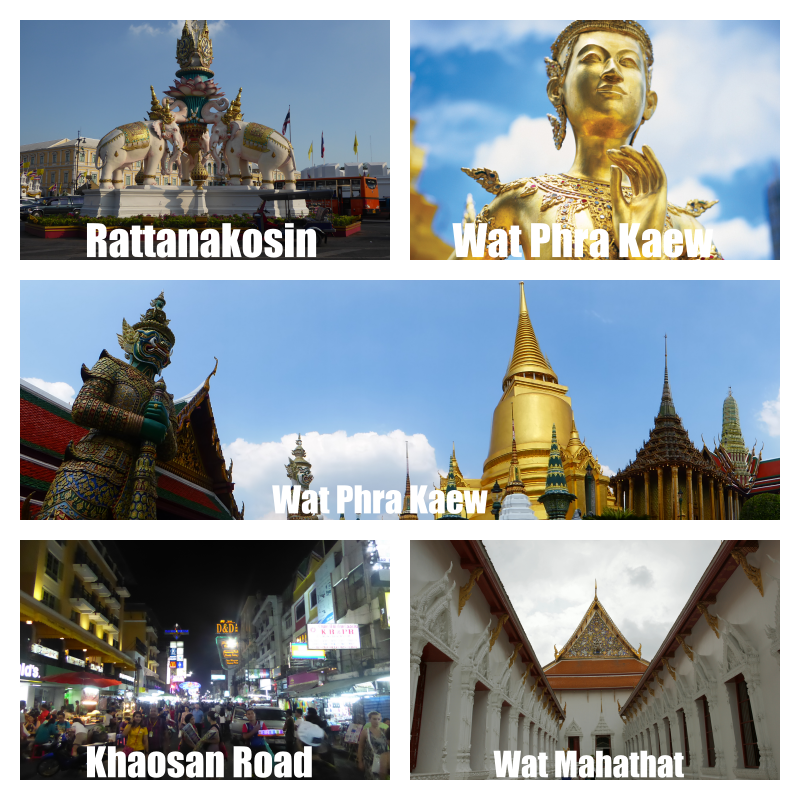 Rattanakosin Island, Ratchaprasong Shopping District, and Chinatown are all easily walkable areas of the city. 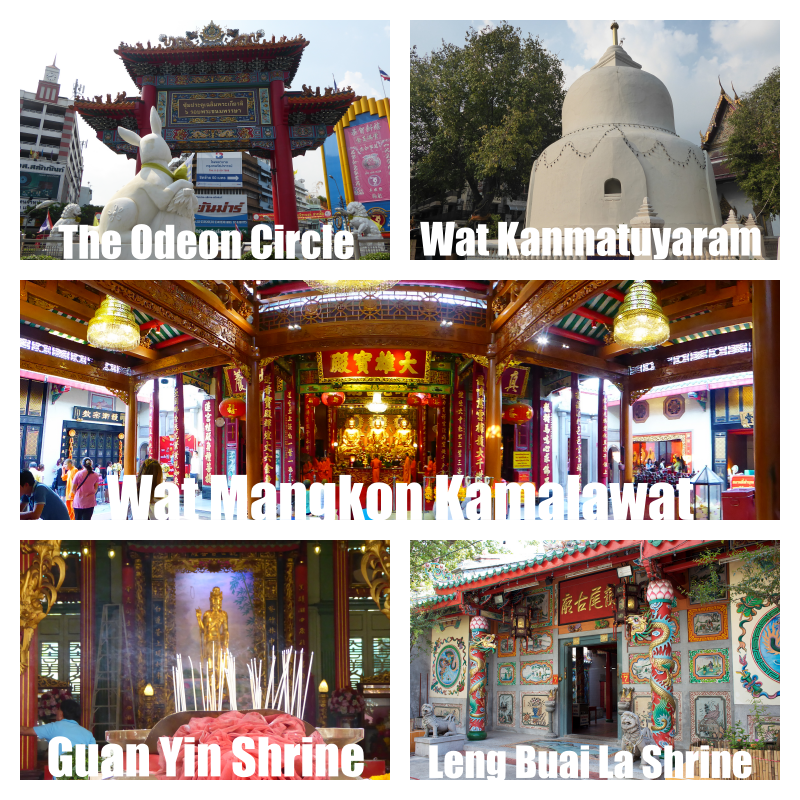 This walk features Wat Traimit, Wat Mangkon Kamalawat, the Odeon Circle, Wat Kanmatuyaram, Thian Fah Foundation Hospital & more. 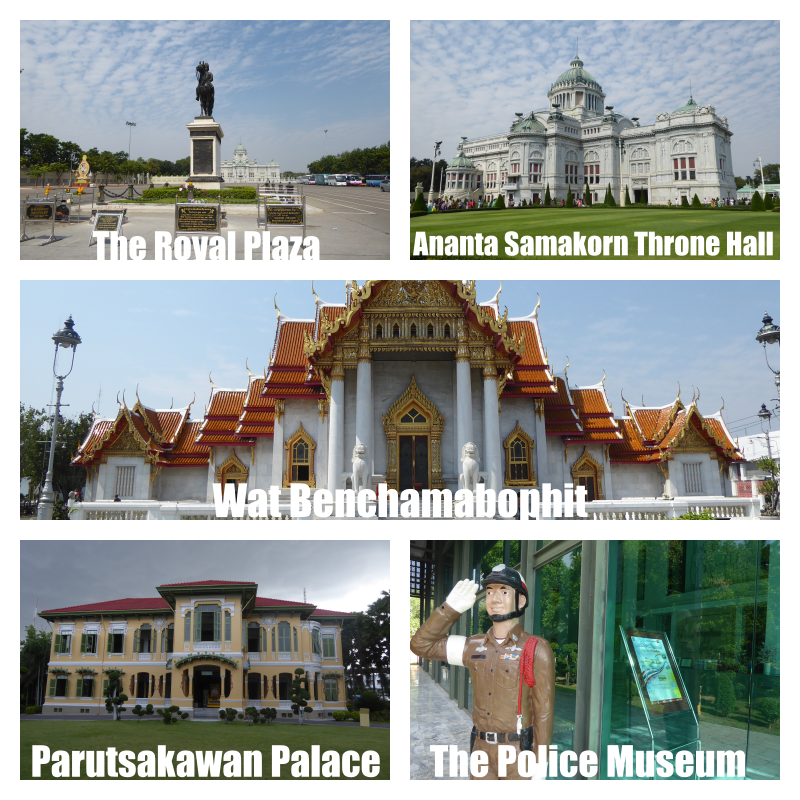 the Police Museum & more. 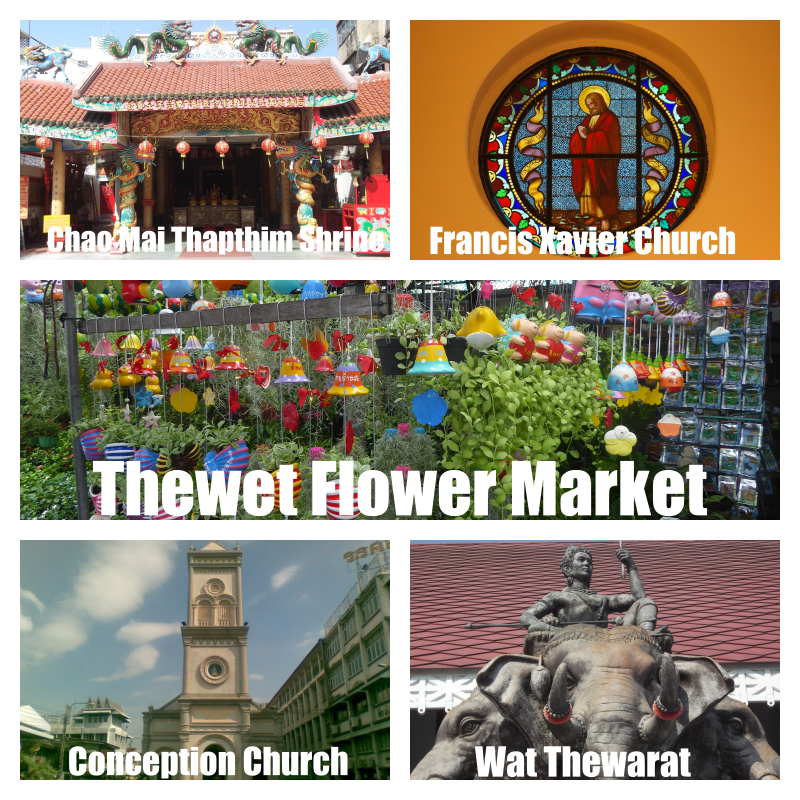 This walk features Saint Francis Xavier & Immaculate conception churches as well as Wat Ratchathiwat, the National Library & Thewet flower market. 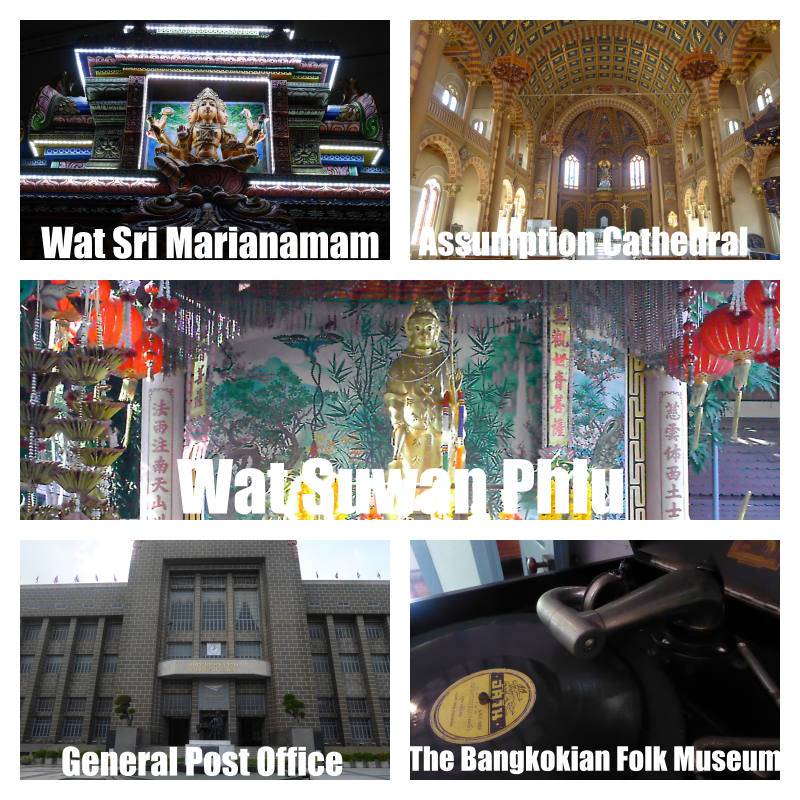 Mariamman temple & the old General Post Office. 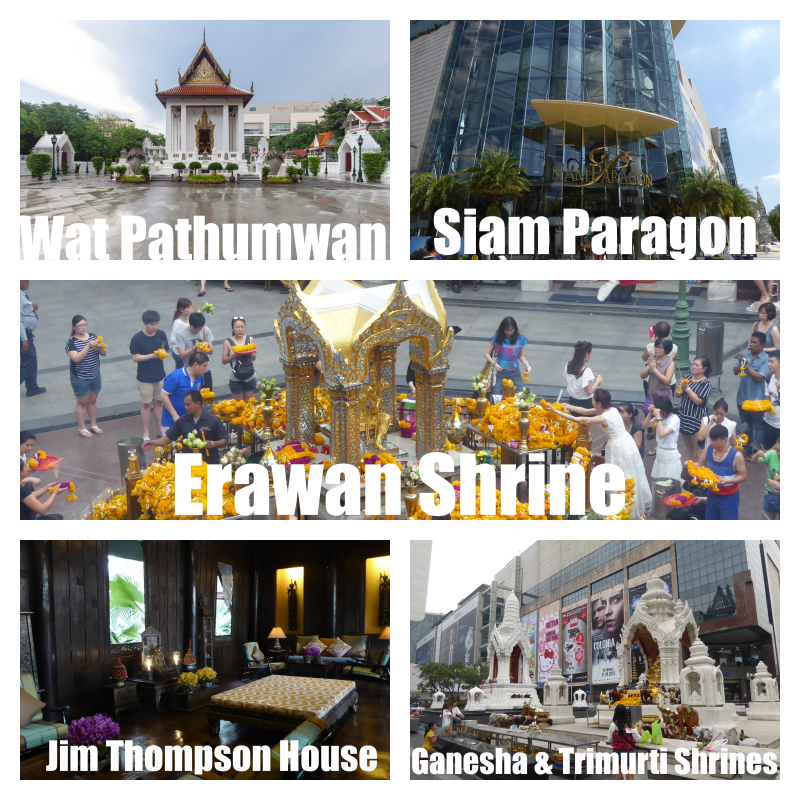 Paragon, Central World, Erawan Shrine and more. 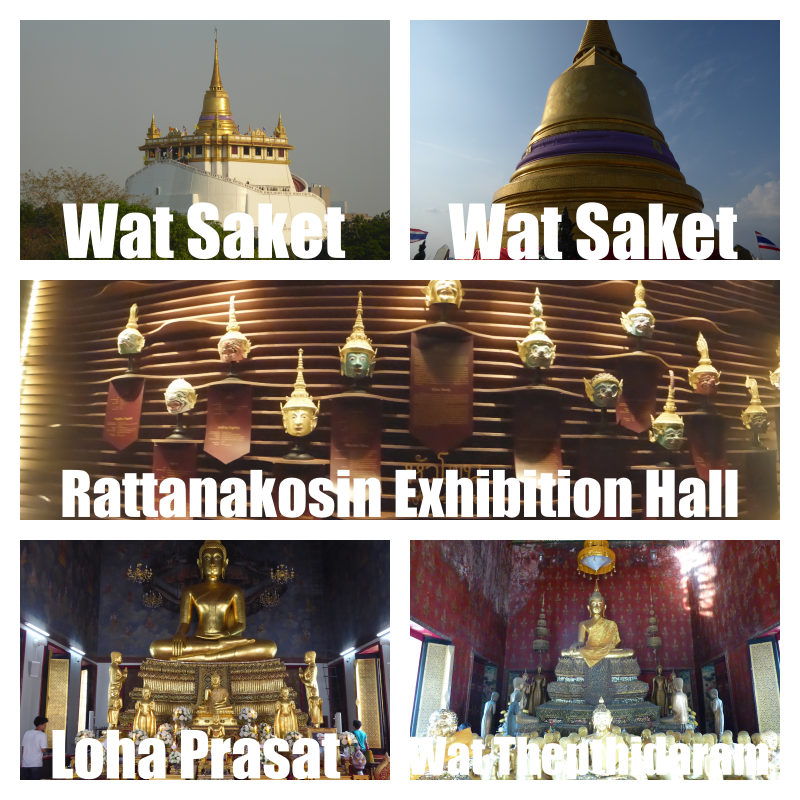 Fort, the Ban Bat community and more. 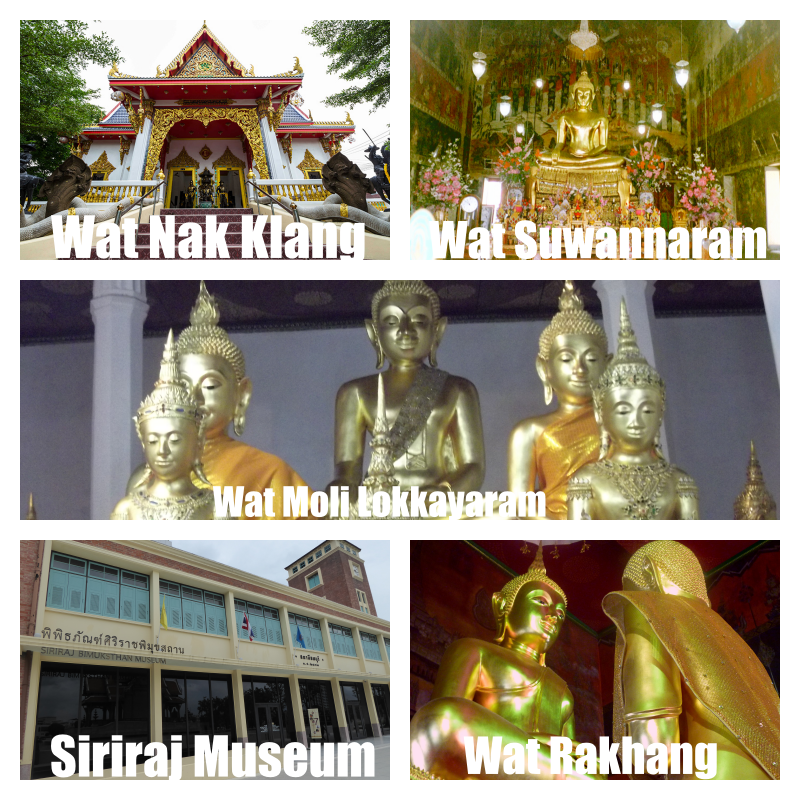 This walk features Wat Lokayaram, Ton Son Mosque, Wat Hongratanaram, Wat Nak Klang, Siraraj Museum & more. 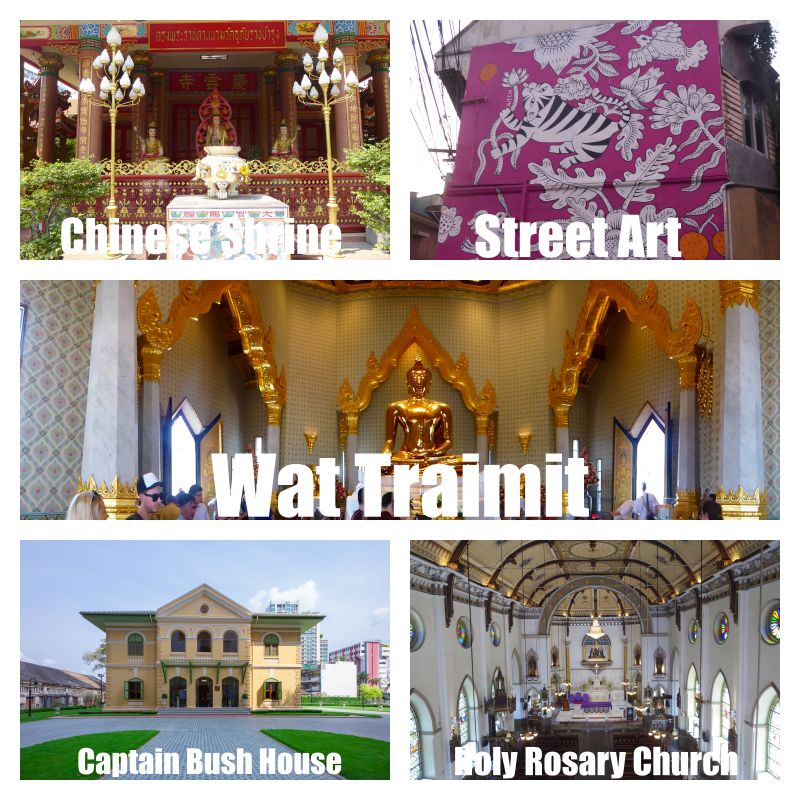 Shrine, Soi Heng Tai Mansion, Chao Zhou Shi Kong Shrine, Wat Traimit & more. 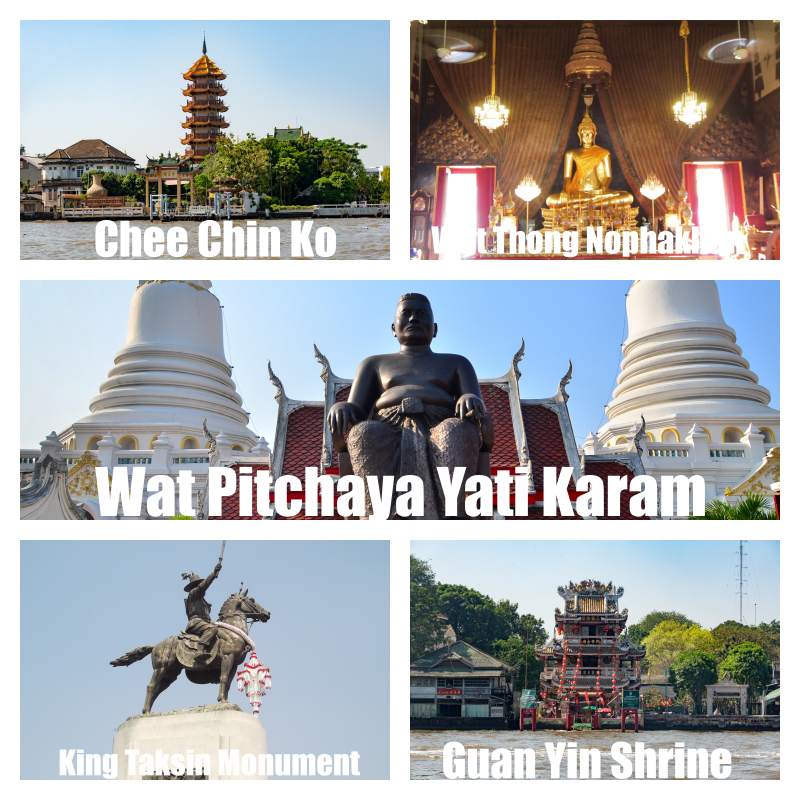 Pitchaya Yati Karam, the King Taksin Monument and more. 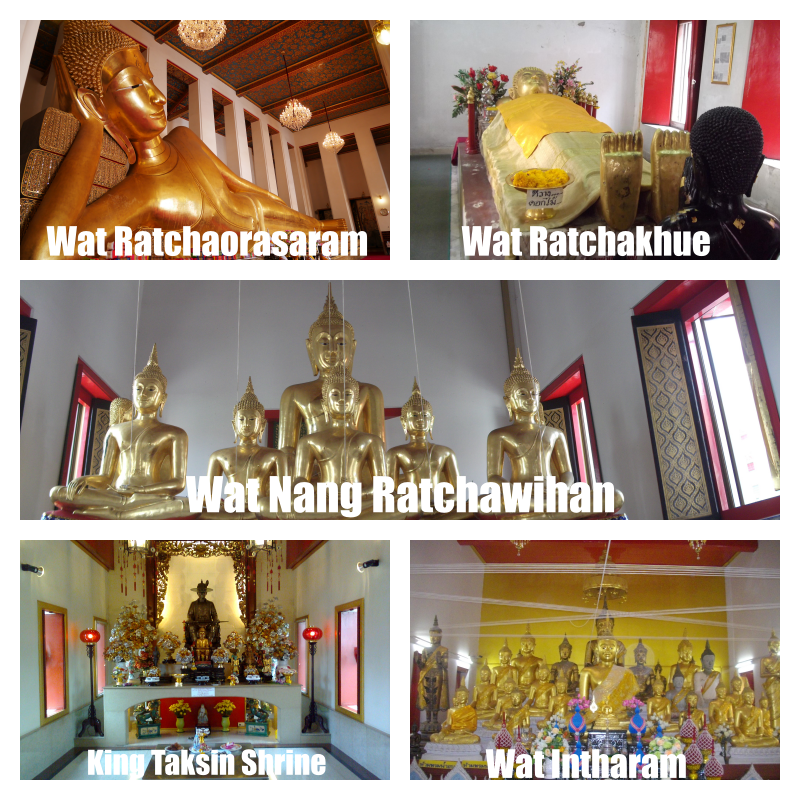 This walk features Saranrom Park, Wat Ratchabophit, Sala Chalermkrung, Old Siam Plaza, Wat Pho, Little India, Wat Ratchaburana, Pak Khlong Talat Flower Market, Yodphiman River Walk & more. 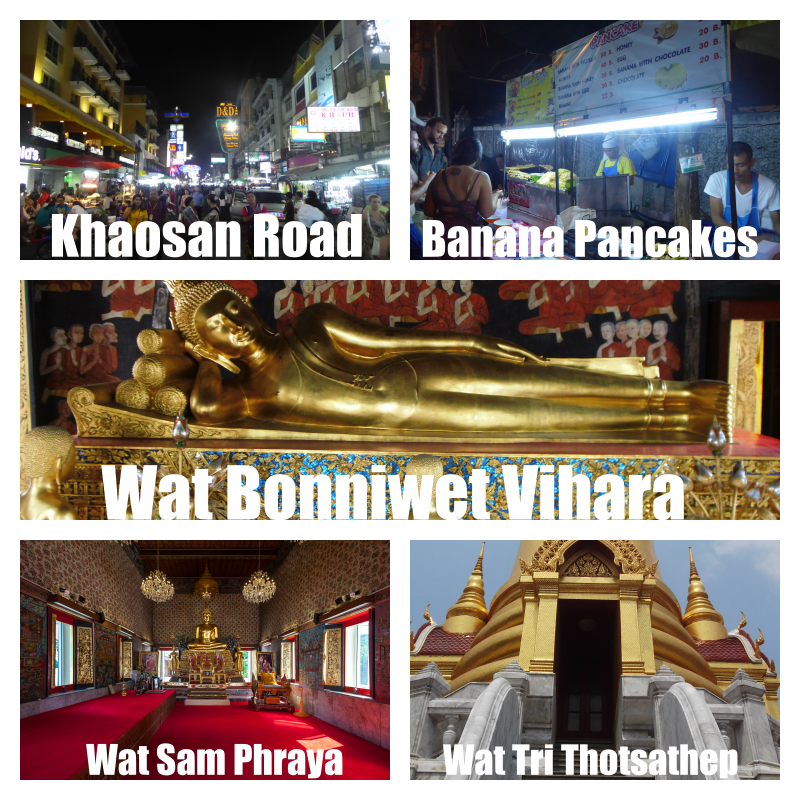 This walk features Wat Chantaram, the King Taksin Shrine, Wat Ratchakhue, Wat Intharam, Wat Nang Ratchawihan, Wat Ratchaorasaram and more.